I found myself on a recent trip to Colorado Springs, the second largest city in Colorado, USA (behind Denver). The “City of Millionaires,” so-called after the discovery of gold on the Pikes Peak mountain, one of the largest gold finds in U.S. history, was reached after a 10-hour flight from London to Denver and a 1.5 hour coach ride, with the -7 hour time difference from the UK taking some getting used to. 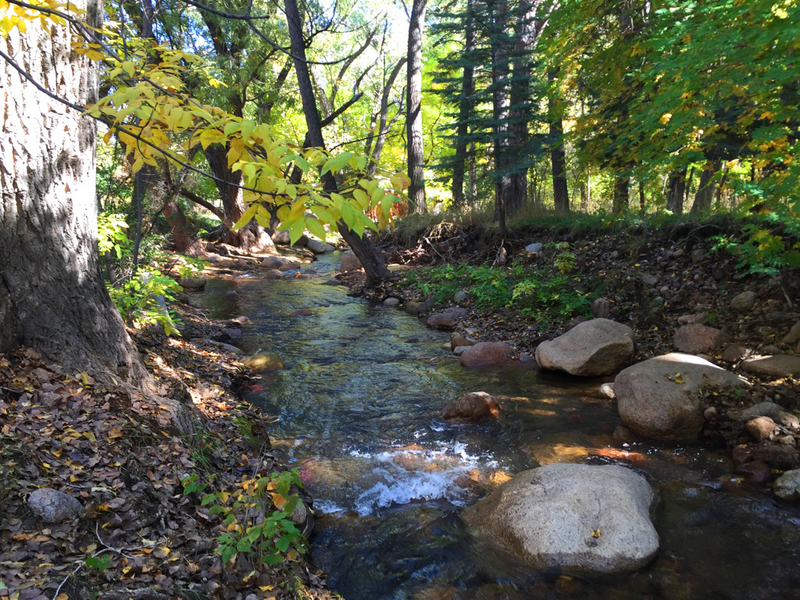 Despite the name, there are actually no springs to be found in Colorado Springs (there are however, springs in nearby Manitou Springs). Rather, I would find myself involved in various activities, visiting nearby towns and sights and sampling much of the local food and drink. Firstly, a quick note about the weather. I travelled here in late October and for the most part, it was quite chilly. 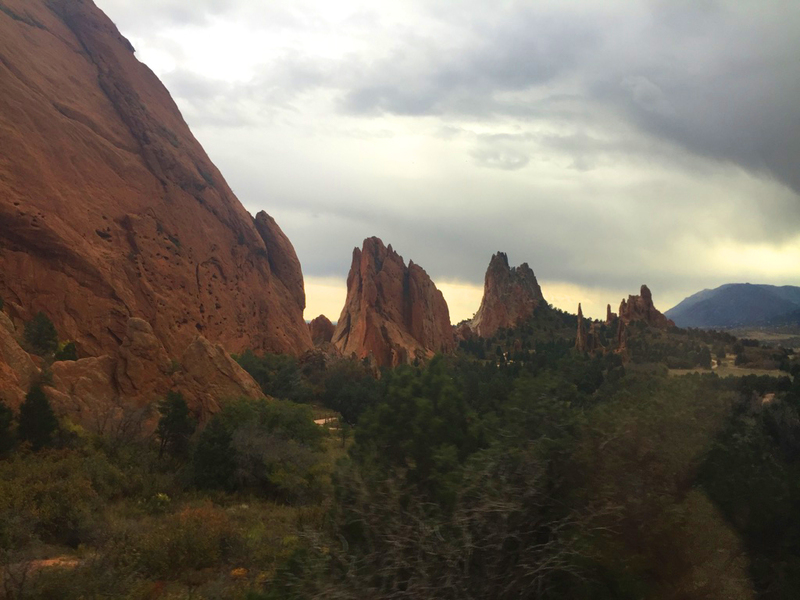 Colorado Springs is found over 1-mile above sea level and the effects of altitude were something I had been warned about before travelling. Not only does the altitude affect the temperature (the mornings are very cold, and even by afternoon it was still jacket-weather), but it was also easier to be caught short of breath, particularly after a long walk or climb. For eating, good food wasn’t hard to find. From the strange (popcorn covered with cheese), to the traditional (fish and chips in traditional English-Style pub The Golden Bee) to the interesting (Bison Steaks at MacKenzie’s Chop House) I never went hungry for long. Alongside the eating, there were plenty enjoyable drinking experiences too. 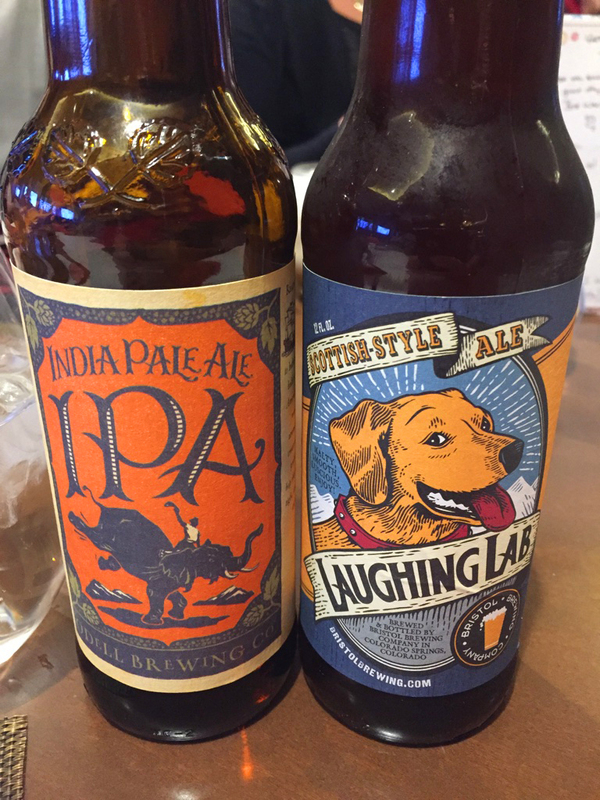 Visiting Colorado Springs gave the beer-drinker in me a chance to sample some locally brewed beers. From finding one of my personal favourites on draft for the first time (Odell IPA) to sampling beers from local brewers Bristol Brewing Company (Laughing Lab Scottish Ale and Red Rocket IPA) I had many pleasant drinks here. From the hotel, I was able to take a trip to a few nearby sites. 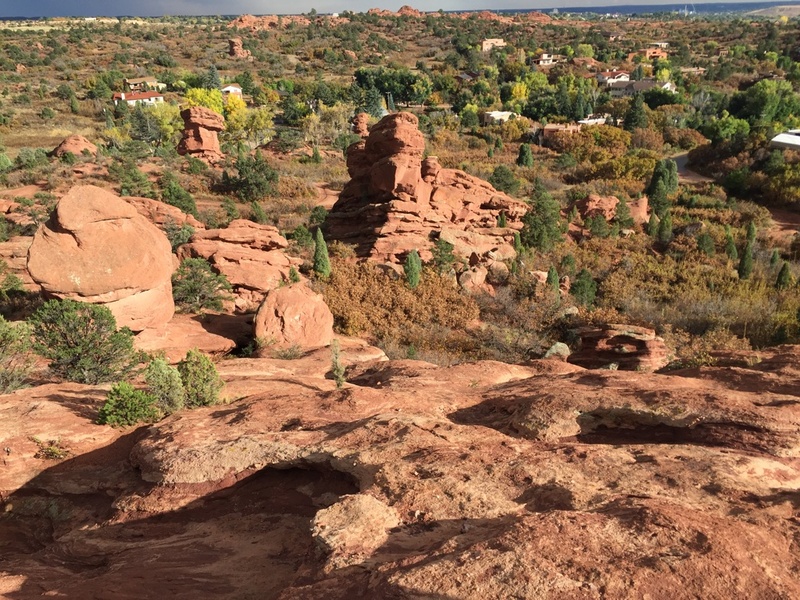 The Garden of the Gods Visitor and Nature Centre allows you to hike around huge red sandstone formations once thought to be held sacred by local tribes. 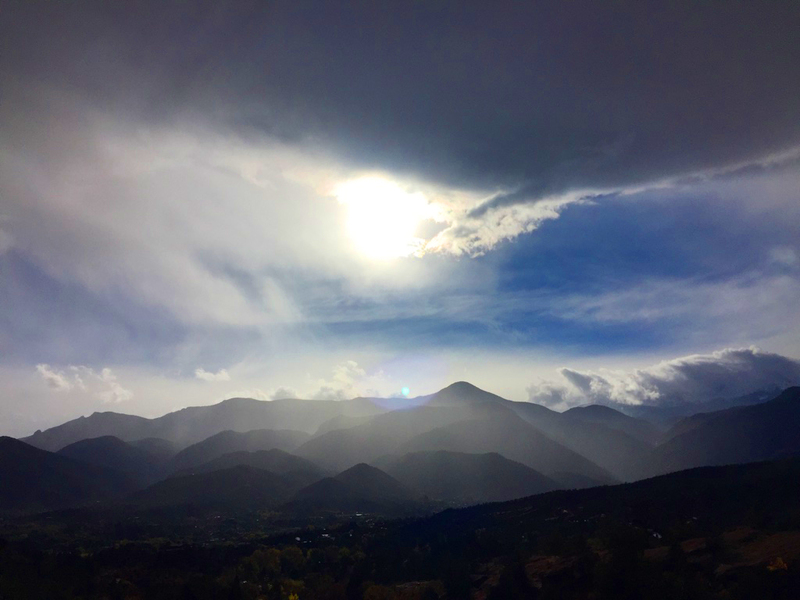 Climbing higher within the park, the view soon opens out to the surrounding towns and mountains (including one of America’s most famous mountains, Pikes Peak, which makes up part of the Rocky Mountains. 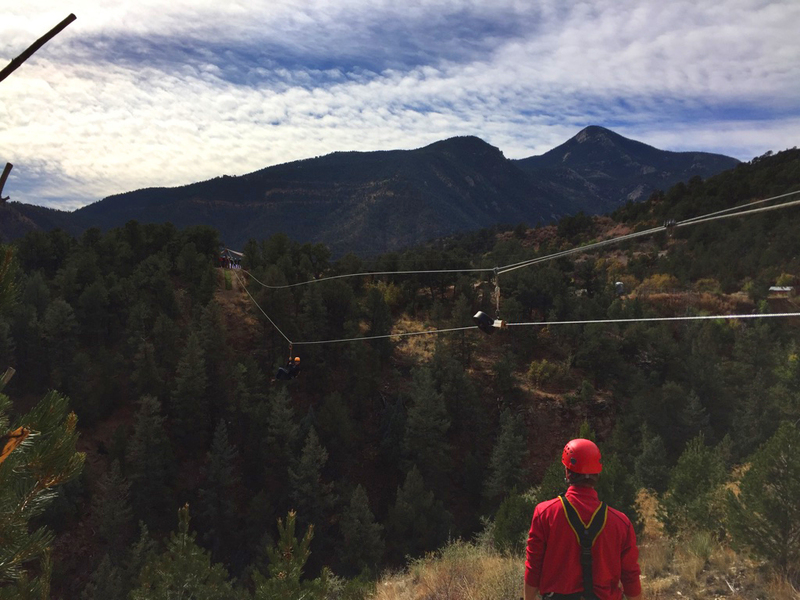 The following day I made my way up part of Pikes Peak to the zip-lining area. This involves donning a hard-had and safety harness and one last bathroom stop (if the fear has set in) before an extremely bumpy jeep ride uphill. Before I knew it, I was throwing myself from the side of the mountain, flying upside down across huge valleys trying my best not to scream too loudly. Before making my way back to the U.K., I opted for one last trip to nearby Manitou Springs. After a long lunch on a terrace (at the Stagecoach Inn) I passed an afternoon wandering about this gold-rush town and speaking to the locals. I asked a local shopkeeper about the “Emma Crawford Races” I had seen advertised on posters throughout the town.This is a local ‘coffin’ race and parade where many locals design cart-like buggies and race them on a specially designed track. 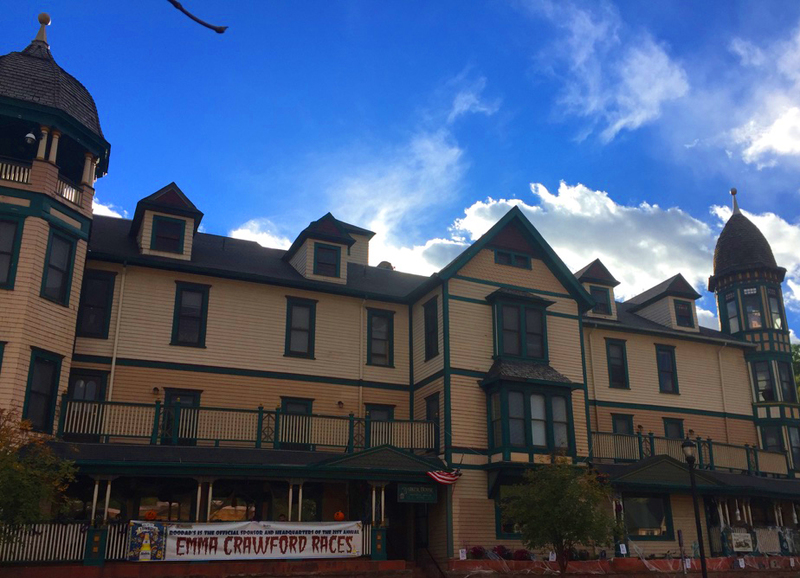 Emma Crawford was a young woman who came to Manitou to seek a cure for an illness from the local springs but she sadly died and was buried. However, she had been buried too shallow and after a period of heavy rain, her coffin was washed downhill, frightening the locals and convincing them that she was haunting them. Or so the story goes. 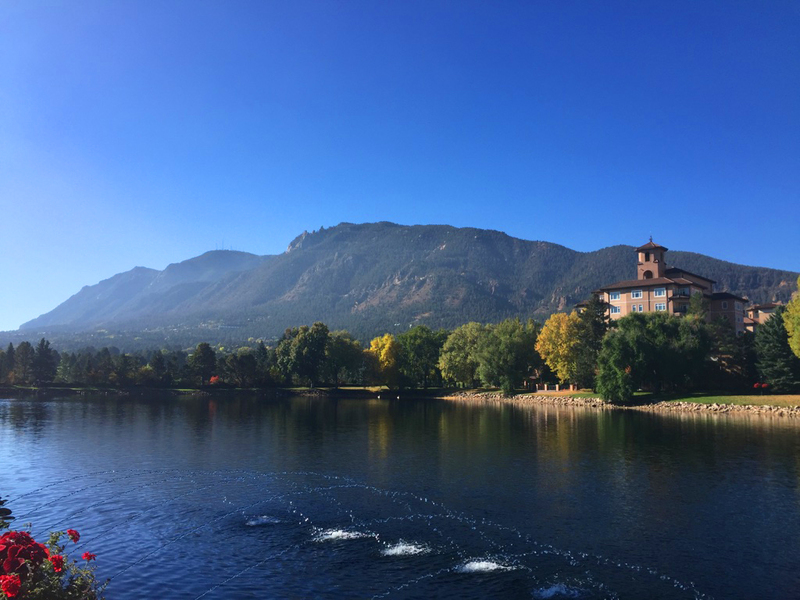 Other activities in the surrounding area that I unfortunately didn’t have time to visit are the Cheyenne Mountain Zoo (the only mountainside zoo in the U.S.), the United States Air Force Academy, The Olympic Training Centre and the Pikes Peak Cog Railway. Finally it was time to make my way back home. Another coach journey to Denver International Airport – an airport rife with theories of hauntings, and a huge red-eyed horse statue to greet you at the entrance – and a flight back through Heathrow, to Glasgow.